In a recent radio interview, beauty YouTuber Risabae detailed the efforts that go into every one of her “cover” makeovers, in which she recreates another person’s look with astonishing accuracy. 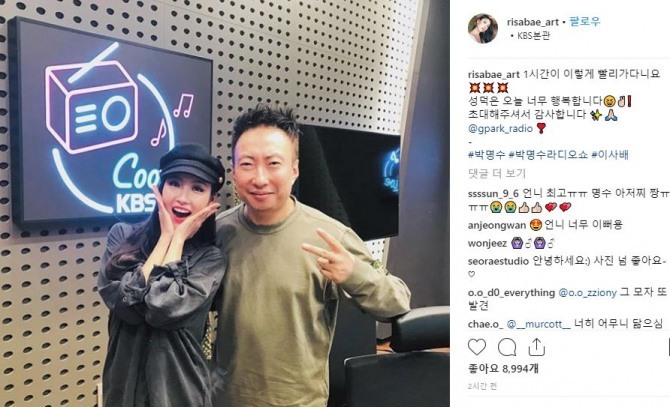 On the KBS program Cool FM Park Myung-soo’s Radio Show, aired Tuesday on the KBS cool FM radio channel, Risabae shared stories about her life as a beauty YouTuber. Host Park Myung-soo praised her ability to perfectly remake another person’s look with makeup -- an art form known in Korea as the “cover” makeover. Risabae started off as a member of MBC’s special effects makeup team and is one of the most popular YouTubers, with about 2 million subscribers. She won the Korean Consumer Forum’s 2018 Brand of the Year Award in July.